You will want to continue your To Go items for picnics and meals for those on the go. How about contacting a local school that may be offering summer school and working with them for snacks and/or meals delivered to the school on a daily or special weekly basis? This also works with day care programs and any local community centers for special events they have for children out of school. Also you might want to talk with all the senior living centers around and make sure you are on their bus route and offer special deals weekly or monthly. How about those early bird dinners or Sunday brunch specials? 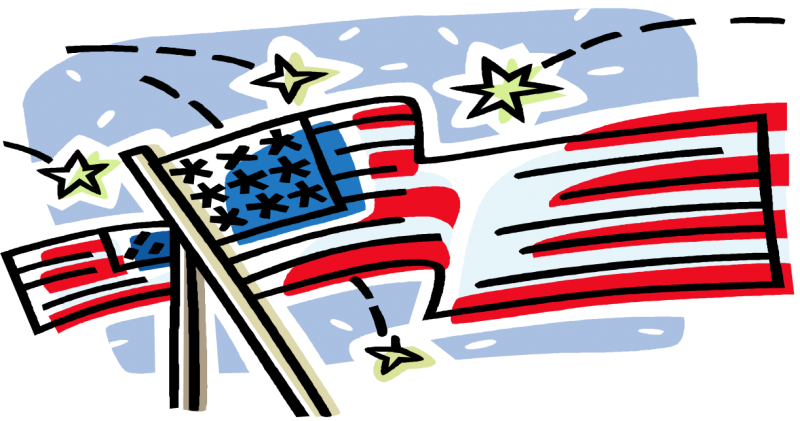 4th of July is our special event of the month - you will of course want to make a special deal of it regardless of your type of operation! Don't forget those trays of snacks, buffet items or desserts to offer for sale ahead of time. The 4th is a great bar-b-que time so consider that when deciding what to offer. If your area allows fireworks or there is a community display that night, talk with the business or event planners and see if you can work out a promotion. And don't forget to order lots of little flags to pass out - this is a must. Have Flags as decorations/table tops, garnish decorations on plates or drinks. I think you will notice that Chocolate is the food of the day for this month!